Focus mean different things for intraday traders trading the M1 or m5 charts compared to the Swing traders of H1 or H4. Most intraday traders will trade the M1 or M5 time frames. Whether its Forex, Indices or Individual Stocks. It depends on your style and strategy but generally M1 is most intense time frame. For trading the M1 chart, it literally means watching every bar. You have to work on your ability to "Hold your Concentration". ADHD Issues? Well, you gotta fix it. To remedy that, enforce deliberate breaks every 30 min. 2-5 min. Look away from screen, possibly out of the window if you are near one. Focus on distant things. Empty your mind. You can take breaks when you know exactly what is happening and look away for a bit. It could be time based or situation based. As long as the GAME is on, you stick to your chart. 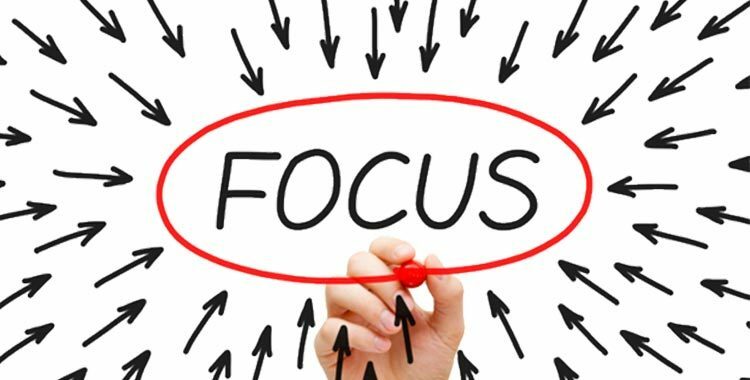 What does Focus Mean for Swing and HTF Traders? For the Swing traders its a bit different. It's about keeping an overall trading focus for the week and the day. Reminding yourself of your months and weekly targets, (for beginners remind again and again what is your trading plan and strategy rules). And then getting out of the minute focus. You start your day by reviewing your last nights notes and analysis. You pursue that, build on it or scratch some parts of it and you move into the open and set your orders etc. Then you take your focus away from the chart to other things but promptly come back to it when it's time, such as top of the hour top of the sessions. If you are "in trades" you obviously want to check every bar/period. If not in trade, and you are waiting /expecting something is setting up then you want to keep a soft focus and set alerts. If Nothing seems to be happening for that day, you focus on journals, longer term analysis and update your stats etc. 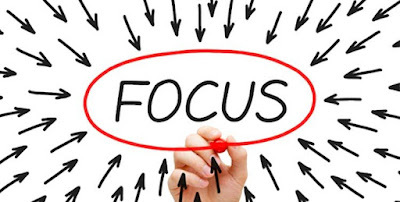 So FOCUS means different things for different type of trading methodologies and personalities. The most intense obviously is M1. But it also has the MOST potential for Fastest Growth and Instant Results. Not everyone is cut out for either type of trading. Most traders do well on higher time frames. Which type of trader are you?